Index color from RGB images to mechanical images. We can supply wholesale screen printing for uniforms, t-shirts, golf shirts, caps and jackets to bags, attache cases, towels and sweatshirts. Below are some of the most popular questions we get asked. If these don’t answer your questions please feel free to contact us and let us help you. How long does it take from the time I place my order? The original order takes 5-7 days, depending on the complexity of the design or logo. Re-orders take only 5-7 days. Why do dark t-shirts cost more? Dark t-shirts cost more because of the cost of the dyes and the more involved printing processes. How large an image area can you print? We can print up to 24″wide by 24″ tall. Our recent project with Which Wich and The Nowitski Foundation has great visual impact due in part to the oversized 19.5″ X 22″ imprint of 7-foot tall Mavericks center Dirk Nowitski (see attached image). Can you convert an RGB image to a mechanical image without completely redoing the art? Yes, through spot process, a folder in Adobe Photoshop, an RGB image can be converted into a mechanical image in up to 10 flat colors. 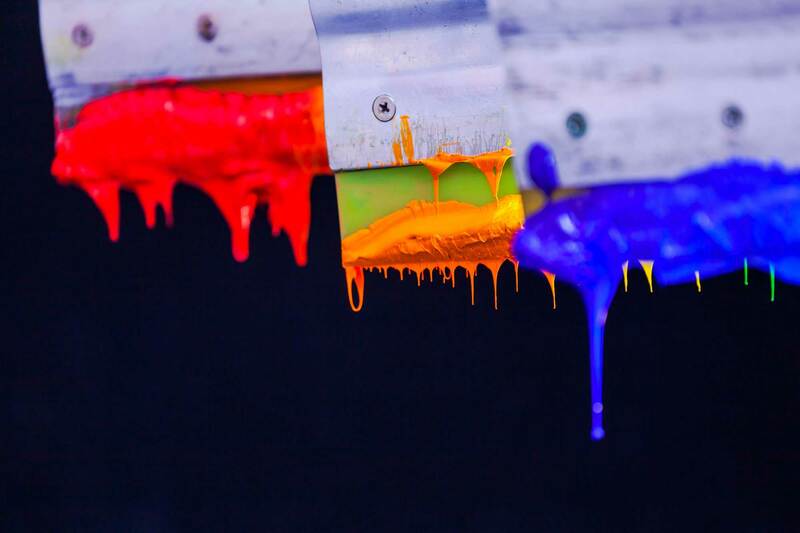 Why use water base inks? Water base inks are used on white grounds where an extremely soft “hand” is desireable (i.e. towels), or, on garments where breathability and coolness is needed (kitchen whites that need laundering). Discharge printing is a process whereby the dye is removed from a dark garment and overprinted with plastisol inks with the hand of an image printed on a light ground shirt. Do you have a minimum quantity when placing an order? Yes. The minimum for embroidery is 36 flat pieces (i.e. golf shirts) and 48 for hats. The is no minimum for silk screening. Do you drop below your minimums? Yes, with a ‘below minimum’ charge. Tell us what you need and we’ll let you know the below minimum charge. Usually $15-$20 depending on the number of units ordered. Are screen charges applied to every order? Yes, screen charges are on every order. However, art and camera charges apply to the initial order only. Can you drop ship and bill to a corporate location? Yes we can, our accounting system has shipping and bill-to capabilities. We will also ship with UPS Online and ship “blind” to your customer with your UPS account number. I use Macs. Is that a problem? There are no platform wars at Leonard Sloan & Associates. We can accept files for both the Macintosh and PC Platform. You can email us your files as a file attachment or send us a disk.